Thanksgiving day, the U.S. holiday, is celebrated by statute on the fourth Thursday in November. This places the holiday on a varying schedule. It can fall on any date between Nov. 22 and Nov. 28. Unvarying is the other, deeper implication of this Thanksgiving day, Nov. 22, as this particular day, in 1963, is one of the defining incidents of my generation’s lifetime: the assassination of President John F. Kennedy. This self-congratulating student of history is ashamed to admit that he had to be reminded of the importance of this day by a story in Wired.com. 1963: President Kennedy is assassinated as his motorcade passes through Dealey Plaza in downtown Dallas. Texas Gov. John Connally, riding in the same car as Kennedy, is seriously wounded. The Warren Commission, set up by order of President Johnson to investigate the assassination, concluded that Kennedy was killed by a lone gunman, Lee Harvey Oswald, firing from the sixth floor of the Texas School Book Depository. Although the report was widely accepted at first, skepticism grew as more information concerning possible conspiracies leaked out. Defining events for a generation. 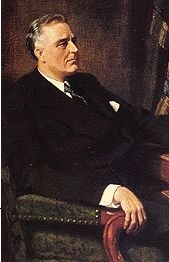 For my parent’s generation, if it had to be boiled down to a single day of so many eventful days, it would be April 12, 1945, the day President Franklin D. Roosevelt died. He was the only president they had known their entire life, and his passing, my mother has said, was like losing one’s father. Anyone alive then can tell you exactly where they were, and what they were doing when they learned the sad news out of Warm Springs, Georgia. 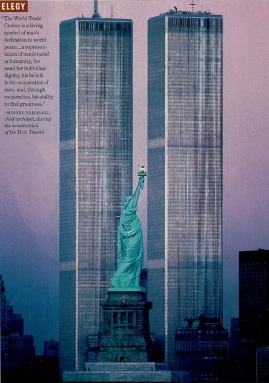 For my children’s generation, there is no contest: September 11, 2001. Can’t you tell us exactly what you were doing, and where, when those shocking images started to appear on CNN? John F. Kennedy would now be 90 years old — a circumstance virtually impossible to imagine, for those of us alive on November 22, 1963. When Lee Harvey Oswald’s bullets killed the 35th president of the United States, our memories of him were frozen in a kind of memorial amber. It’s hard enough to picture 60-year old JFK as the proprietor of a great newspaper (a post-presidential career he was considering). It is simply impossible to conjure up images of him at 75, much less 90. He remains, forever, young, at least in the memory of those who remember his presidency. Why did John F. Kennedy die? According to the interpretation advanced by admiring biographers (and former Kennedy aides) Arthur M. Schlesinger, Jr., and Theodore Sorensen, JFK’s assassination was the by-product of a culture of violence that had infected the extreme American right-wing: thus right-wing paranoia about communism and civil rights activism had turned the city of Dallas into a seething political madhouse where something awful was very likely to happen. The interpretation advanced in this last article resonates with me; things changed. Optimism, born of victory, born of world leadership, born of that post-war prosperity that built the suburbs and the interstate highways that wove them together, took a terrible blow that November afternoon. The American century, at that precise moment, began to unravel. And we boomer inheritors were not destined to enjoy the triumph our parents earned for us after all, but only to ride that plunging elevator into some other nation’s century — China’s? And shame on me for having to be reminded! This entry was posted on Thursday, November 22nd, 2007 at 3:15 pm and is filed under 9/11, Geopolitics, History, Life Lesson, musings, Politics. You can follow any responses to this entry through the RSS 2.0 feed. You can leave a response, or trackback from your own site.